Bob Goldstucker is and has been Managing Partner at Nall & Miller for the past 14 years. Bob specializes in the defense of medical malpractice claims, legal malpractice claims, constitutional law claims, civil rights claims, other professional liability, insurance agent errors and omissions, tort claims, insurance coverage matters, professional licensing board proceedings, antitrust matters and securities. He has been a member of the Georgia Bar since 1977 and is also licensed to practice in Iowa, Washington, and Nevada. In nearly 40 years of practice, Bob has litigated or mediated in 45 states, serving as lead counsel in more than 125 jury trials in state and federal courts throughout the United States. 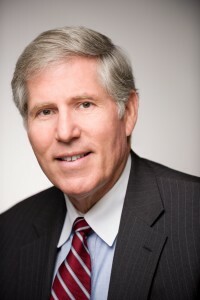 Bob has represented his clients in more than 500 mediations and arbitrations and is often called upon to handle negotiations in cases where he is not defense counsel because of his skill and acumen at negotiation. Bob serves as national counsel for the Podiatry Insurance Company of America, Corizon, Inc., CHG Companies, and Specialty Care Group (Perfusion Services). Bob has also represented the State Bar of Georgia as its outside counsel for the past 30 years. Bob was appointed Special Investigator by The Atlanta City Council Investigating Wrongdoing in the Executive Branch. His investigation aided in several federal indictments and convictions of those he investigated. While he no longer represents plaintiffs, in the past Bob has obtained settlements or verdicts of greater than $1 million in twelve different matters. His last plaintiff’s verdict was for $10 million in 2008. Prior to joining Nall & Miller in 1979, Bob worked for Georgia Legal Services for 2 years in Savannah, Georgia. In addition to his private practice, from 1989-1998, Bob served as an Adjunct Professor of Litigation at Georgia State University School of Law. Bob graduated from the University of Georgia School of Law after obtaining his undergraduate degree from the University of Iowa, with honors. In years past, Bob has been active as a director and/or coach in Buckhead baseball and NYO youth sports. He has been active with and served as counsel for Planned Parenthood. Bob enjoys fitness and the outdoors. 140 lectures, papers, videos and presentations delivered to state, regional and national audiences of physicians, attorneys and other professionals on such topics as trial tactics and techniques, legal ethics, risk management, malpractice, professionalism, mediation and negotiation, and licensing issues. Specifics of each paper or presentation available upon request. Copyright © 2015 Nall & Miller, LLP All rights reserved.